This trip was a blast. I was lucky enough to be in a group with my dad, uncle, cousin, and friends, all led by Carlos (el sensei) y Jorge (Jerry el chivito). They led and helped us through the trail, teaching us all about the significance of the ruins and symbolic architecture. 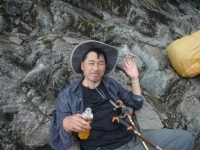 I am a relatively inexperienced backpacker who ran four miles three times a week (with additional conditioning) for about two months, and realized I was not in the best shape for the 4 day trip. I am also 59 years old. 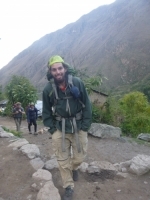 The Inca Trail Reservations tour guides were monitoring my situation constantly and making accommodations for my personal situation. 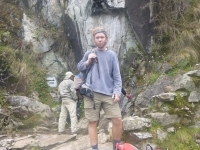 My Inca Trail adventure was incredible. This trip took me to the most beautiful countryside on Earth. I was surrounded by soaring peaks and gentle grasslands interrupted by wonderful waterfalls that floated into rushing rivers. I collected some impressive vertical mileage along this 4 day journey that amounted to miles, not just thousands of feet. We really enjoyed our Machu Picchu trek. 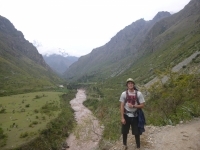 Carlos, Jorge, and Victor were excellent guides showing us an awesome time on the Inca Trail. The chef and porters were also great in helping to prepare amazing meals for us and having our camp set up every night ! The entire trek was tight. Our guide Carlos is clearly a legend of old resurrected to bring us through the darkness, into the light. Everything from the scenery to the food, to the trail itself was awesome. 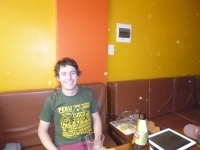 Our porters were excellent as well. Really great experience. Lots of fun, met some really awesome people, beautiful mountains, and a feeling of personal accomplishment. Our guides, Carlos and Jorge were friggin dope. 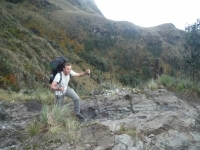 There's nothing like the traditional Inca Trail. I loved it. 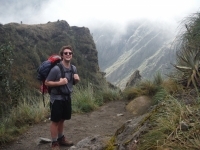 Hello everyone, if you have not attempted the Inca Trail, I highly suggest that you sign up immediately. The experience was magical and one hike that I will surely not forget. 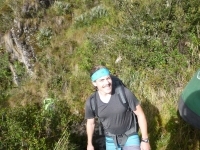 Carlos and Jorge were amazing guides, they are extremely informative about ancient Inca culture and history. 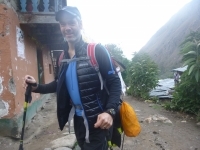 My Inca Trail adventure was a very good one, probably majority being the good weather we had for the time of year, mid January. They say practice makes perfection and I believe this is how the whole trek was operated. 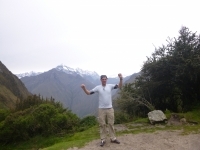 What else can I say than that I had a amazing time with the company Inca Trail Reservations. The trek itself is really cool. But with such amazing people around it even better. And the food that was also so good. I can not think about a better place to eat. 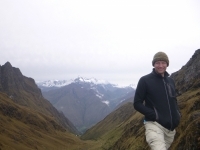 Such a great Inca Trail trip, far surpassed my expectations. Four hard days of high altitude trekking is not for the faint-hearted, but incredibly rewarding. The trail leads through several ancient Inca sites enroute to Machu Picchu, each displaying unique architecture with a story to tell. Quería contarte un poco sobre el camino que recién terminamos de hacer. Estoy muy feliz de haber hecho el camino con ustedes. Los guías siempre con la mejor onda y el servicio en los campamentos de 10. Un muy bonito camino. Nos ha costado un poco pero siempre tuvimos el apoyo de los guías.